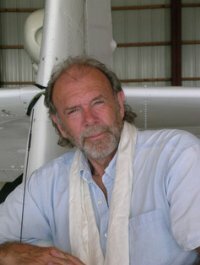 Richard Bach is a best-selling author and a former USAF pilot, barnstormer and airplane mechanic. When you read his books you will see how he borrows from these life experiences to render spiritual fiction and inspiration that is truly unique and poetical. He is best known for Jonathon Livingston Seagull and Illusions: Adventures of a Reluctant Messiah. Richard Back seems to use his Facebook page to post pictures of his travels, etc. It is not surprising to see seagull pictures! Amazon Synopsis: Once in a generation a book, a vision, a writer, capture the imagination and emotions of millions. Jonathan Livingston Seagull was such a book. Richard Bach's unique vision again shines forth, touching with magic the drama of life in all its limitless horizons. Once again Richard Bach has written a masterpiece to help you touch that part of your home that is the sky. Amazon Synopsis: Finding Ourselves is Like Flying An Ancient Biplane Coast To Coast: There Are Storms Ahead, But once We've Started, It's Too Late To turn Back. Amazon Synopsis: Here for the first time in a single volume are three of Richard Bach's most compelling works about flight. From his edgy days as a USAF Alert pilot above Europe in an armed F84-F Thunderstreak during the Cold War to a meander across America in a 1929 biplane, Bach explores the extreme edges of the air, his airplane, and himself in glorious writing about how it feels to climb into a machine, leave the earth, and fly. Only a handful of writers have translated their experiences in the cockpit into books that have mesmerized generations. Amazon Synopsis: In Illusions: The Adventures of a Reluctant Messiah, Richard Bach met Donald Shimoda, a fellow pilot with the keys to the universe who barnstormed the Midwest in a Travel Air biplane. Part of Shimoda’s secret was a small book, bound in what looked like suede: Messiah’s Handbook, Reminders for the Advanced Soul. “Open it,” he said, “and whatever you need to know is there. ”Lost for decades and rediscovered, here it is in print at last—reminders for those who have outgrown cynicism and doubt. Amazon Synopsis: Setting out to explore his beliefs in the environment of a simpler time, Richard Bach shares the adventure of one magical summer he spent as an old-fashioned barnstormer flying an antique biplane. The journey is another soaring personal adventure of wonder and insight from the author of Jonathan Livingston Seagull. In this exhilarating adventure, Richard and Dickie probe the timeless questions both need answered if either is to be whole: Why does growing spiritually mean never growing up? Can we peacefully coexist with the consequences of our choices? Why is it that only by running from safety can we make our wildest dreams take flight? Amazon Synopsis: A man alone in the sky has a chance to touch the stars. But as Richard Bach, flying a lone jet across Europe, reaches for the eternal, he must also confront the fear and danger that shadow the unknown. An analogy of spiritual growth and striving where Richard Bach tells the story of a seagull who strives to fly higher and higher and finally reaches heights that no other seagull has ever gone. Amazon Synopsis: Flight instructor Jamie Forbes guides a woman to landing her plane safely after her husband loses consciousness, then flies on to his own destination unimpressed by his act...flight instructors guide students every day. Only after she tells reporters that a stranger appeared in an airplane alongside hers and hypnotized her into landing, and after he meets his own guiding stranger does he solve the bigger mystery: how each of us creates, step by step, what seems to be the solid world around us. The best mysteries are the ones whose answers lie in front of us, in plain sight. The best solutions are those moments when all of a sudden we realize what we've known all along. Amazon Synopsis: The author of eleven books, including such classic bestsellers as Jonathan Livingston Seagull, Illusions, and One, Richard Bach has earned a permanent place in the hearts of readers around the world. His visionary works have shown millions of readers the amazing possibilities of imagination, mind and spirit. An enthralling flight into the realm of possibility, Out of My Mind shows what happens when Richard Bach sets out to solve the design problems troubling his Piper Cub. He is taken on an unforgettable journey back to 1923 and the creative heyday of a British airplane manufacturer, Saunders-Vixen Aircraft Company, where problems are solved for confused aviators. There, Bach meets Derek Hawthorne, his guide through Saunders-Vixen, and a mysterious young aircraft designer named Laura Bristol who will provide the astonishing answers to his unspoken questions. This profoundly resonant tale reminds us of a powerful truth: although our dreams may lie beyond the limits of time, space, and belief, they are never beyond reach. Amazon Synopsis: When she was about to turn five, a little girl named Rae Hansen invited Richard Bach to her birthday party. Though deserts, storms, mountains, and a thousand miles separated them, Rae was confident that her friend would appear. There's No Such Place as Far Away chronicles the exhilarating spiritual journey that delivered Rae's anxiously awaited guest to her side on that special day--and tells of the powerful and enduring gift that would keep him forever close to her heart. Written with the same elegant simplicity that made Jonathan Livingston Seagull a bestselling phenomenon, There's No Such Place as Far Away has touched the hearts of thousands of readers since its first publication in 1979. Richard Bach's inspiring, now-classic tale is a profound reminder that miles cannot truly separate us from friends...that those we love are always with us--every moment of the infinite celebration we call life. Hampton Roads Synopsis: The Ferret Chronicles. We could have told him how many copies those books would sell, and we would have been right. They went invisible in bookstores; readers walked past―we're not into ferrets just now. The Books That Nobody Read, and we knew why. It should have been one volume, not five. Ferrets tell his stories about living, but they're the actors, not the subject. Why did he call them ferret books? Here they are, last chance, one volume. Richard budged on the title, but not much. Finally he said that we could put a note to readers on the back cover, if that would make us feel better. Amazon Synopsis: Not many humans know. On the edges of every sea, the Ferret Rescue Service stands alongside the Coast Guard and Coastal Patrol of any country that claims an ocean shore. Just as it is the job of humans to rescue human lives at risk in storm and shipboard disaster, so it is the job of ferrets to rescue seagoing animals. In this world of committed, courageous ferrets, Captain Bethany Ferret stands apart. A kit from humble beginnings, she rises quickly to command the swift J-boat "Resolute," once derelict, which she herself has rescued from the rocks. Bethany and her crew measure the days by storms at sea, by ships in distress and by lives saved from tempest. 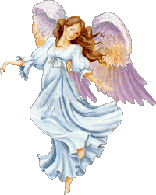 When the alert siren shrieks in the midnight storm, Bethany shakes away sleep and races to the bridge. "Boa, start Engine One, start Engine Two." She does not inquire whether the Chief Engine ferret is ready for action on a quarter-minute warning. She switches to the ship's loudspeaker: "Topside crew, paws on deck. We have a vessel in distress, this is not a drill." Engines bursting awake, searchlights blazing, crew and boat battle swells and screaming wind to reach desperate creatures in black water, the lines between life and death now drawn only by the limits of the ferrets' courage. Amazon Synopsis: This is Stormy Ferret's story. Cargo pilot, captain of an Air Ferrets SkyFreighter, she had earned her name by delivering her freight on time through every weather the night could set against her. Her destiny, she thought, was her dependability. That was true until, on a run south from Seattle to Salinas, she plunges into a supernatural tempest like nothing she has ever known. Flying north in his sleek FerrJet, Captain Strobe Ferret hits equally violent weather. As chief pilot of the giant MusTelCo, his long experience at the controls had taught him to accept whatever the sky set before him. He had adjusted to life alone in the wild pure arena of air. The two pilots meet by chance in the most powerful twin storm ever to sweep Airway Victor 23, her voice in the night helping him survive, his voice helping her. Coincidence turns to destiny as they battle through the clouds toward an unscheduled landing and a meeting that will forever change their lives -- and the lives of thousands of others. "Air Ferrets Aloft" is a tale of skill and commitment, of powerful coincidence set in motion by unseen forces from another dimension, of the life-changing consequences when like souls meet, of love discovered after all hope for it had passed. Amazon Synopsis: Budgeron is struggling mightily to write the great ferret novel, a story so rich, so finely wrought, it will set the world of ferret literature on its tail. By day, he writes adventure stories for kits' magazines. By night, he lights the Lamp of Wisdom and calls forth Count Urbain de Rothskit, hero of the massive volume, "Where Ferrets Walk." After a near-perfect first sentence, Budgeron sighs in his tiny attic writing room and waits for the second to come. Downstairs, a page-turner romance tumbles effortlessly from the keyboard of Budgeron's mate, Danielle. A pawdicurist who decides to write for fun, Danielle never expected her first page would explode with Veronique Sibhoan Ferret, a willful, naughty, mesmerizing animal who would one day bewitch millions of readers. Budgeron and Danielle are aspiring writer ferrets following their calling through the quiet rooms where stories are born, past the mailbox and rejection slips and finally into the white hot world of big-time book publishing. In the end, each finds success writing for the one heart they must truly please: their own. "Writer Ferrets: Chasing the Muse" is a tale about the search for what really matters in life; the struggle to free our inner voice; the pursuit of a dream against significant odds and the need to love and be loved by a like-minded spirit. Amazon Synopsis: The ground thudded and trembled, the echoes again, as Cheyenne Jasmine Ferret cut a half-circle to stop, breathing hard, by Montgomery and his trusted mount Boffin. It was a familiar sight to all who lived beneath Montana's Sweetroot Mountains, these two ranchkits riding through the morning light, ever together, completely unalike. Montgomery has the deep stillness of the outdoors in his soul; Cheyenne Jasmine is less quiet within. He understands the thoughts of animals and the endless colors of a single mountain daisy. She watches movie after movie, drawn indoors by emotion and light. Kithood ends one morning when Cheyenne Jasmine climbs aboard the train out of Little Paw, destination Hollywood. Montgomery stays put, unwilling to leave the country and his future with animals. They do not realize they are in love until the moment she departs. In time, Cheyenne becomes Jasmine Ferret, "the" Jasmine Ferret, international film star, darling of the tabloids; Montgomery a sheep-whisperer, a rancher, and some suspect philosopher ferret. Years pass before they meet again, long after each has found the rewards of their separate callings. Yet the highest reward, they discover, waits for them both together, and it's one that they will share for the rest of their lives. Amazon Synopsis: Can one animal save the world? So asks Richard Bach, bestselling author of Jonathan Livingston Seagull and The Ferret Chronicles. This moving fable about the almost-end of a civilization and the profound issues it raises -- that of war and peace, life and death, revenge and forgiveness, guilt and innocence -- is a timely tale of timeless themes sure to resonate with anyone concerned about the present state of the world.